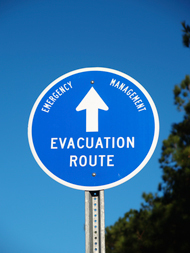 PRAIRIE VIEW, TX – Evacuation measures are put in place for citizens to act upon when natural or man-made emergencies occur, but how often are they taken seriously or do individuals really know what to do during these situations? These questions and others will be answered at Cooperative Extension’s Monthly Seminar Series on May 13th. Are you Ready for the Next Disaster is the topic to be addressed at the event that will start at 12:00 noon in the Carden-Waller Cooperative Extension Building auditorium, on the campus of Prairie View A&M University. Planned topic discussions for the seminar include: Emergency Preparedness, County Evacuation and Future Contingency Focused Workshops. This seminar will be the third in a series of monthly seminars that Cooperative Extension is hosting. Seminars in June will focus on Summer Fun Programs for Youth and Teaching Your Child Money Management Techniques. Interested persons can contact Jimmy Henry for more information about disaster preparedness at 936/261-5115, jhenry@ag.tamu.edu. or visit the CEP website at pvcep.pvamu.edu. This entry was posted on Monday, April 26th, 2010 at 3:52 pm and is filed under Community and Economic Development, General CEP News. You can follow any responses to this entry through the RSS 2.0 feed. You can leave a response, or trackback from your own site.